Jordan Brand gave their Air Jordan 14 a huge makeover but they won’t stop there for they are set to release a much-improved Jordan Winterized 6 Rings this November. 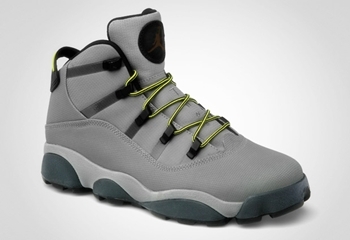 The Jordan Winterized 6 Rings, which was well-accepted in the market during the previous releases of this shoe, will be coming out in Light Charcoal/High Voltage-City Grey-Blue colourway this month. The silhouette features a textured and rugged mudguard for comfort paired with an impressive out sole, giving it a much fresher and cooler look. Expect this shoe to come out anytime soon!